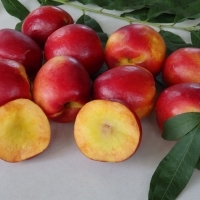 The subtropical nectarines listed in the catalogue are completely self-pollinating however some have very different characteristics. You can choose from white or yellow flesh, large or small fruit however all have excellent flavour and good quality fruit. 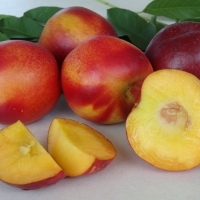 A delicious, highly coloured yellow fleshed clingstone nectarine. Medium sized. Skin colour is glossy red over a golden-yellow ground colour. Good flavour with a firm, juicy flesh. Upright growing habit. Low chill, suitable for areas with limited winter chill. Early maturity. 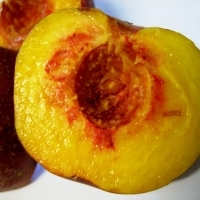 An attractive fruit with yellow skin streaked with red. Fruits are large and juicy with delicious sweet white flesh. 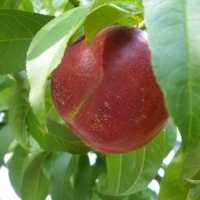 They are a high chill variety suited to cooler regions where they are early to fruit. 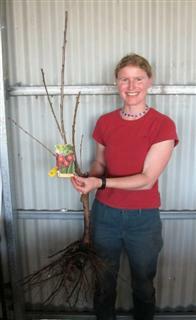 A delightful little fruit tree! 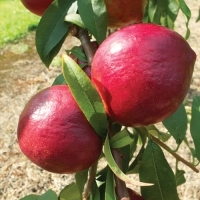 Shapely branches, long bright green leaves, the compact height make Trixzie Nectarine an ideal tree for the smaller garden or for a large planter pot. 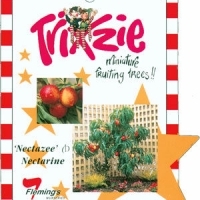 Trixzie 'Nectazee' bears delicious yellow fleshed fruit. (88-11) A white flesh variety requiring up to 350 hours chill. 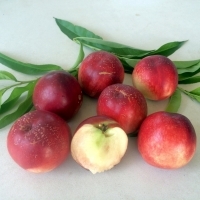 A Semi-clingstone variety with nicely shaped fruit that is medium to large with dull purple skin, firm flesh highly resistant to Bacterial spot. 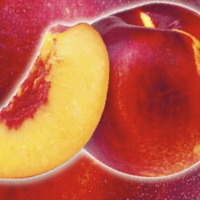 Has a yellow fleshed nectarine needing 250 hours chill. A Semi-clingstone with round well shaped, medium to large fruit. A very attractive skin colour (80 - 90% blush), very firm flesh, excellent flavour and good resistance to bacterial spot.